Jody Seaborn is a member of the publishing team at Stratfor. 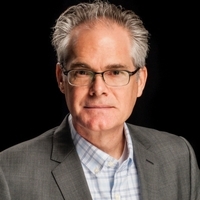 Before joining Stratfor, he was an editorial writer and columnist with the Austin American-Statesman, where he was also national editor from 2001 to 2009. He has a master's degree in English literature from Angelo State University and is an adjunct journalism faculty member at St. Edward's University in Austin.